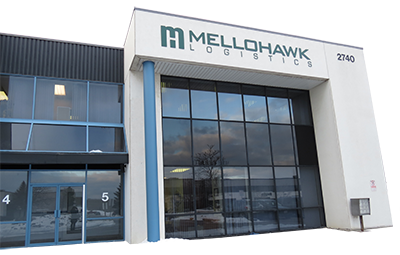 MELLOHAWK Logistics International Training Center (MHLITC) is a training provider certified by the Ontario Ministry of Advanced Education and Skills Development, and the Canadian International Freight Forwarder Association (CIFFA). We are committed to offering importers, exporters and those looking to begin a new career an intensive and progressive educational program in logistics, starting from the introduction of freight forwarding right through to real world work experience. MHLITC is also a division of MELLOHAWK Logistics Inc. a multi-award winner in the freight forward industry. After successfully completing the 12-week program you will earn the CIFFA Advanced Certificate, and a letter of reference. Qualifying students will also earn a FIATA diploma. Focused learning means completing your studies and entering the workforce quickly. Our unique model allows you to receive one-on-one support to guide you through your training, and answer any questions about what you've learned or how it will relate to the workplace. 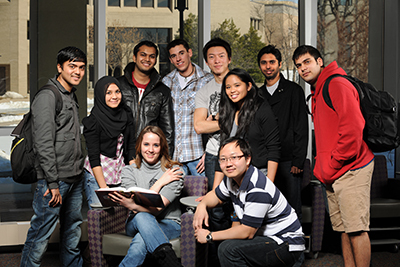 Based on the Canadian International Freight Forwarding Association (CIFFA) training program, the MHLITC program introduces the student to air, ocean, truck and rail transportation through a 12-week program divided into 4 courses, featuring one-on-one instruction, online classes and hands-on experience. Please note that our program is not a stepping stone to get a job at MELLOHAWK Logistics, and due to these courses being less than 6 months, it does not qualify you to extend or apply for a student visa. Our partner, CIFFA, is a certified training provider for FIATA, IATA, ICAO, CSCSC and their courses include all IMO and Transport Canada regulations as required. "MELLOHAWK Logistics, led by a strong management team of Peter Hawkins and Arnon Melo, continue to make a positive impact in every business and people’s lives they touch." "We’ve had a logistics relationship with MELLOHAWK since our company began over 7 years ago and they have always been a very supportive partner as our business has grown. I’ve seen them mentor new immigrants, giving them an opportunity for training, fulfilling work and personal support, and ultimately developing them into outstanding employees – many of whom I’ve had the pleasure to work with over the years. They have only my best wishes. They are a great company with a great future!" "Personable, reliable, trustworthy and competitively priced – I wouldn’t trust our shipping with anyone else."